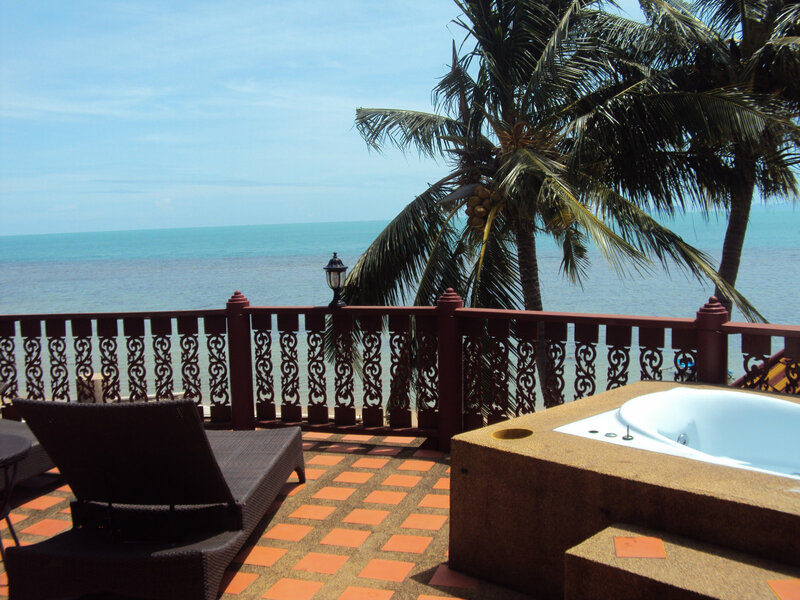 R1 Coconut River Beachfront Villa with Private Pool and Jaccuzzi. With 3 Bedrooms, 2 Bathrooms, Sleeps 6. 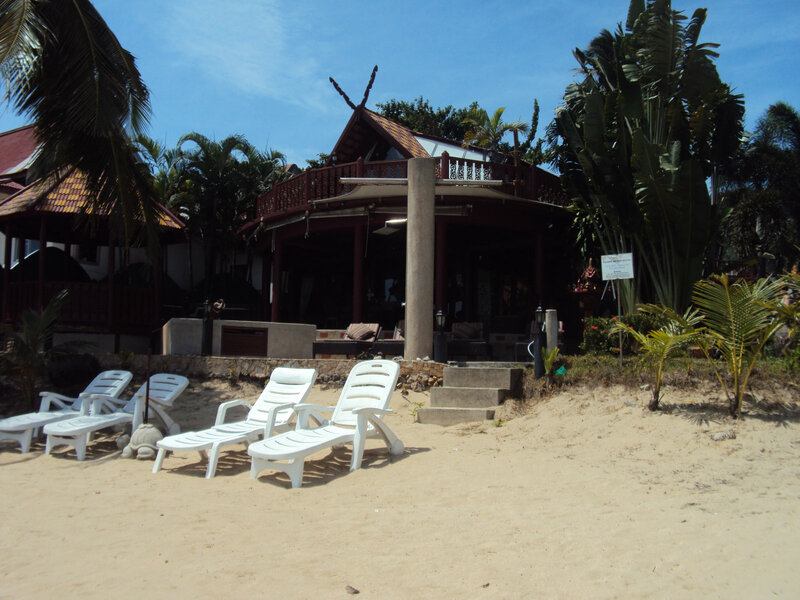 Wonderful Beachfront Villa directly on the beach, with private pool Ground Floor features Private Pool, Covered Terrace, Spacious Lounge/Dining/Kitchen Area, one Double Bedroom and Bathroom. 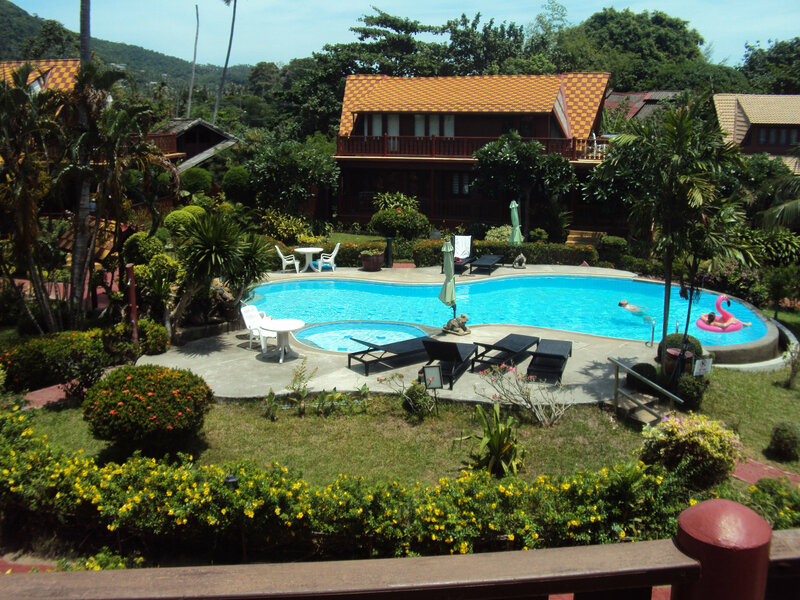 First floor has 2 Double Bedrooms, one Bathroom and Open Terrace with Jacuzzi and marvellous views over the Gulf of Thailand to Koh Phangan and Anthong Marine Park. Great place to enjoy cooling drink and enjoy the sunsets. All the bedrooms have Air Conditioning and Roof Fans. 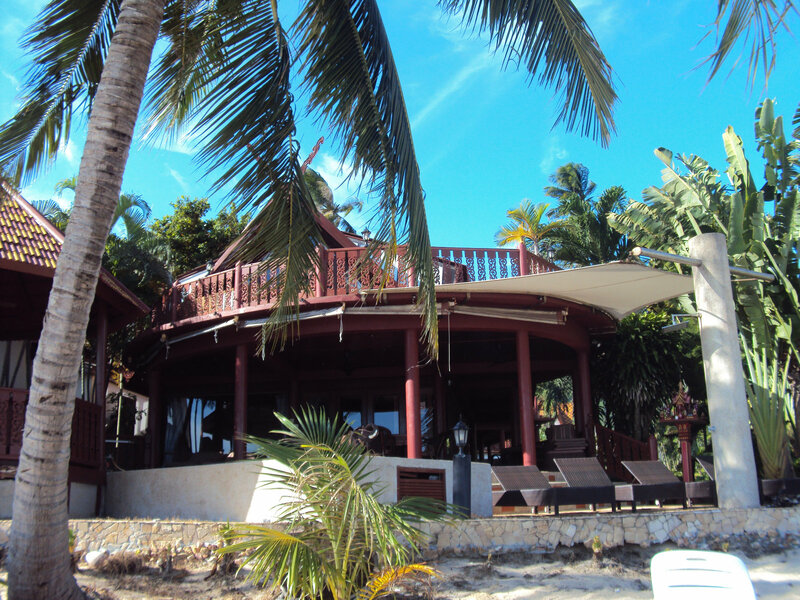 The Villa is well Furnished, Equipped and Maintained. Ideal for a Family or Romantic Holiday. Large communal Pool featuring child’s Pool and Waterfall. Step out of the Villa onto the 3.5 km long unspoiled white sandy beach. Tropical Paradise on your doorstep.